My baby boy is almost 6 months old already. Time flies and he's doing things and hitting milestones so quickly that I can hardly keep up with him. He sleeps through the night, rolls over from his back to his front, he giggles often, he's starting to hold his own bottle. He loves to grab his toes and play with toys and so many other little details that, when it comes time to do his baby book, I will never remember how old he was when he first started to do each one of these. I haven't been real good about jotting those milestones down with my other 4 boys and I really wish I would have thought of this idea 14 years ago, because this one works. I decided to create a monthly journal card that I can just jot those little things down each month. I LOVE this idea and so far it's been working great. I thought, what a great gift this would make for any new parent, so I created the Large Baby Milestone Journal Cards and they're available in my shop now. 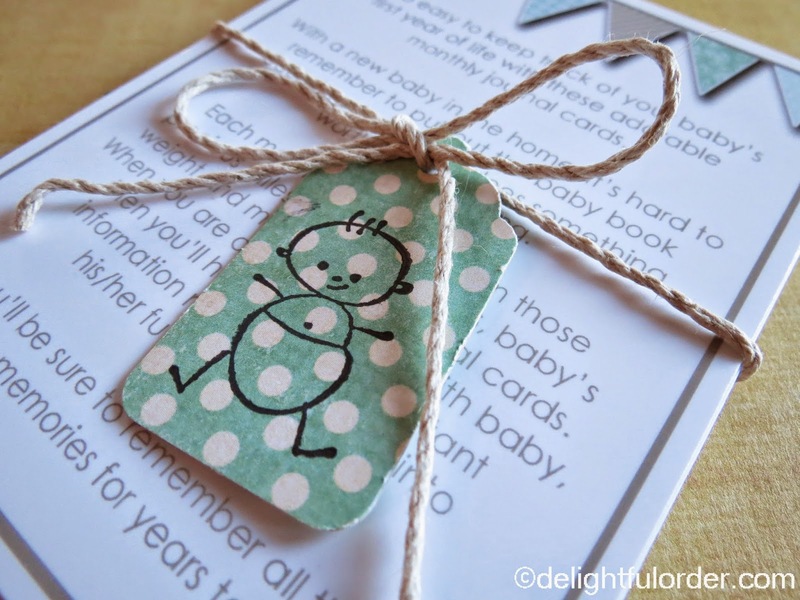 Just print, cut out and tie together with ribbon and you've got an awesome baby shower gift or new mommy & daddy gift. These cards will be a HUGE hit for new parents. With a new baby it's often hard to remember all the little details of baby's firsts. It's hard to take the baby book out each time baby hits a milestone. When they first smiled, first rolled over, slept through the night, cut their first tooth, crawled, walked, etc. 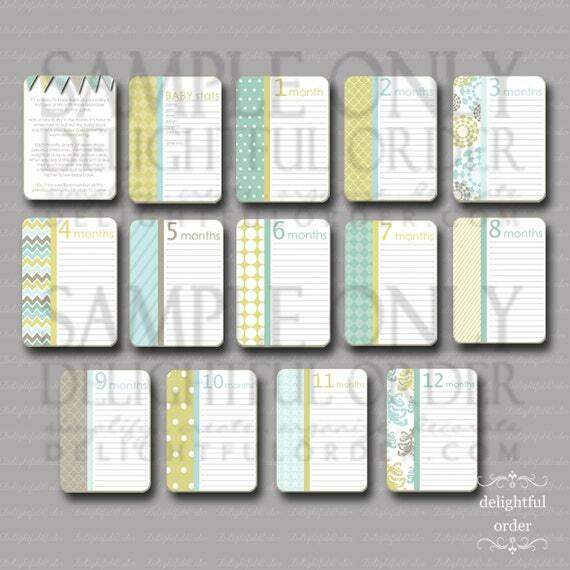 These journal cards make it so easy to jot those little things down each month. I add the weight to the cards each month my little guys has a doctor appointment too. 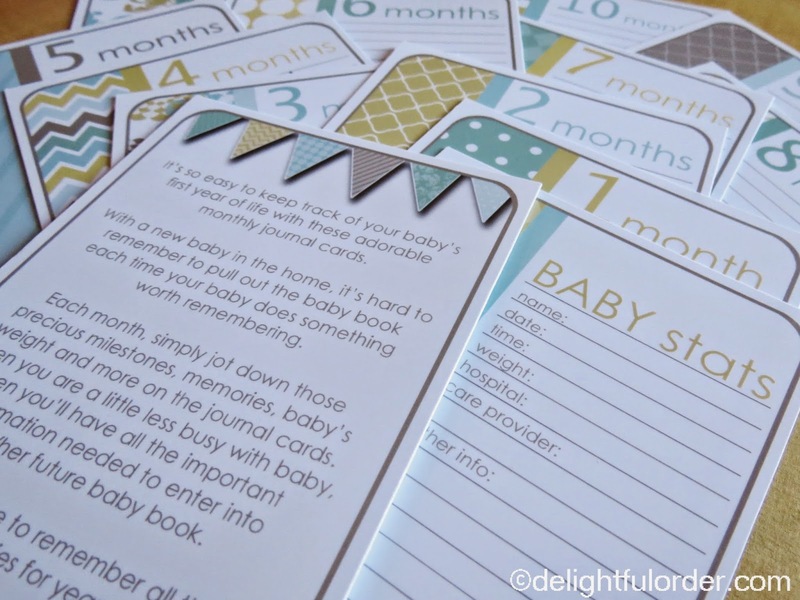 Then, when mommy & daddy are a little less busy with baby, they have these awesome monthly journal cards to go back to when they start working on the baby book and all those little milestone memories are remembered for years to come. 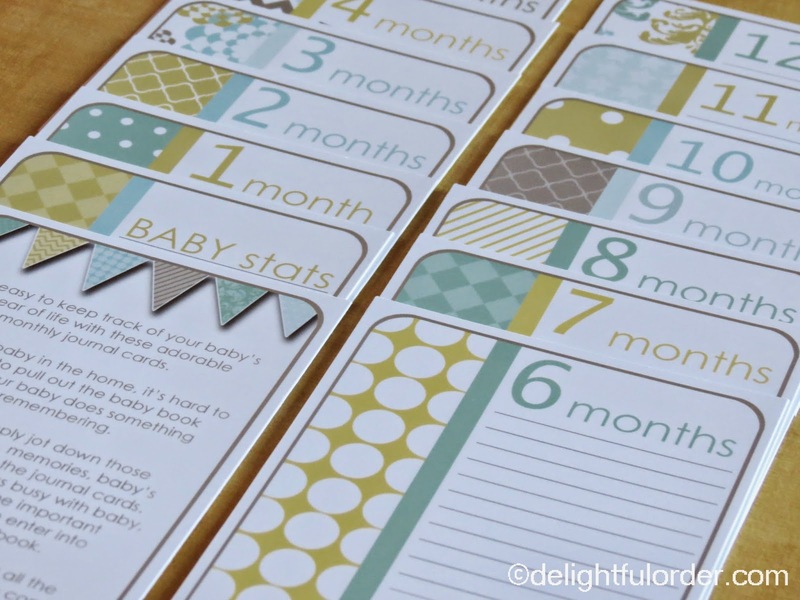 The Large Baby Milestone Journal Cards are available now in my Etsy shop. What an awesome idea & a cute gift too! LOVE it!